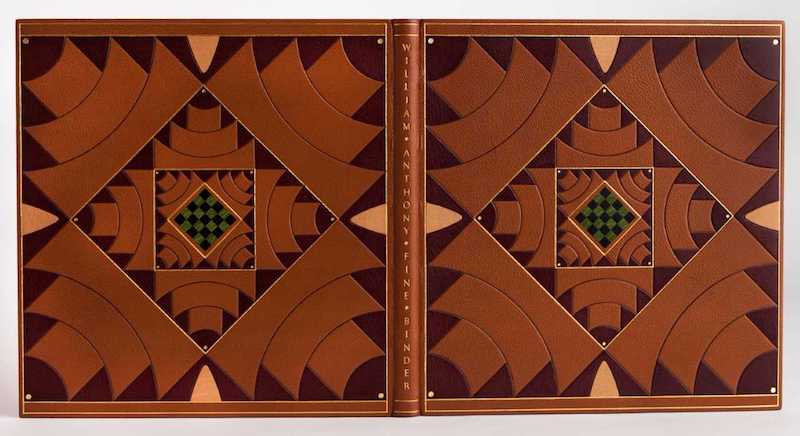 "Book Binding Has Been Very Good to Me"
Mark Esser was introduced to bookbinding at the Harcourt Bindery in Boston in 1979. He then worked in the Conservation Bindery at the Newberry Library in Chicago while studying bookbinding privately with David Brock. Esser served an apprenticeship with William Anthony, first in Chicago, then at the University of Iowa, from 1982 to 1986. He developed the curriculum and became the first instructor for the hand bookbinding program at the North Bennet Street School in Boston, where he taught from 1986 to 1994. He was the Rare Book Conservator at the John J. Burns Library at Boston College from 1994 to 2008, and now works privately.